Yesterday my sister took me on a whirlwind tour of a few foodie places in town (Indianapolis). Our first stop will have to remain anonymous until the 6th of February, and you won't want to miss it! 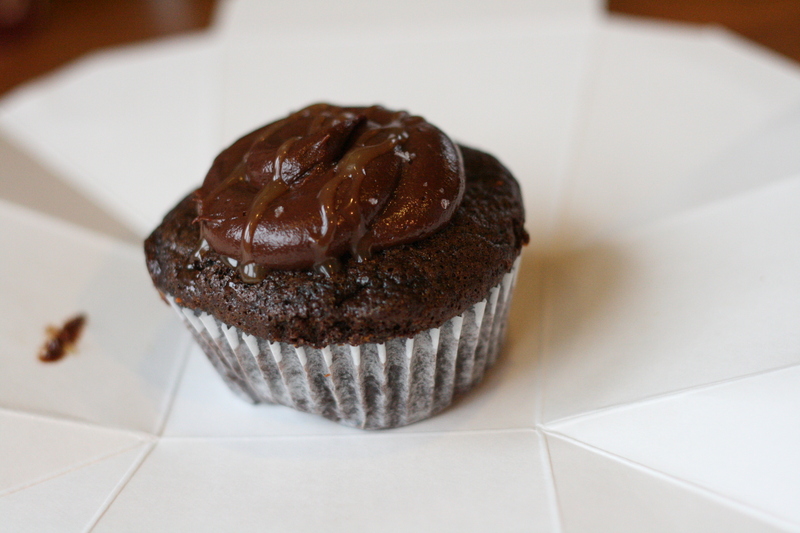 Our next stop was The Flying Cupcake at 5617 N. Illinois Street. I think I was most enamored with the adorable way the shop had been decorated -- shabby chic with plenty of pink. I left the choosing to my sister and she picked a Salted Chocolate Caramel cupcake. Although seating was available, we opted to go down the street to Starbucks so we could enjoy coffee with our treat. 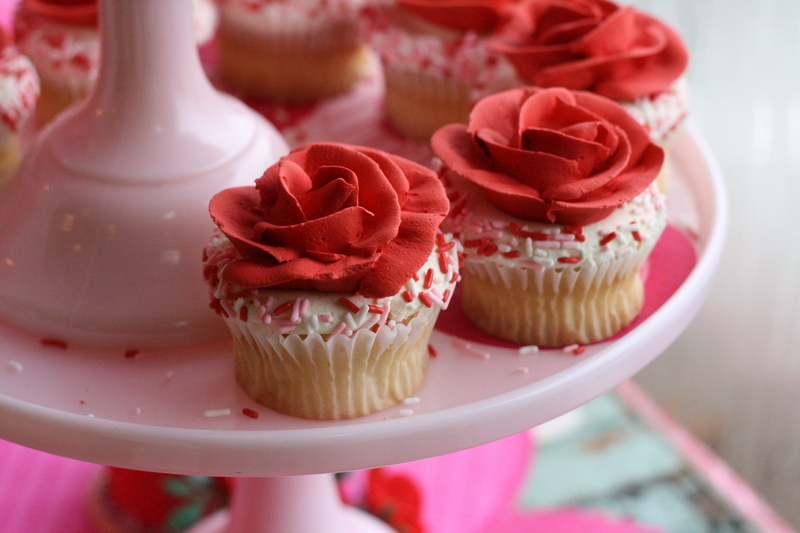 I think we all agreed that the cupcake was not something one eats and says "wow." Rather, it was more like down-to-earth comfort food. We decided it was the perfect little shop to take your child or grandchild to after school, instead of a place you seek out for gourmet delicacies. To my surprise, I discovered a butcher just down the street from the cupcake shop! Butchers are rare these days, so I had to go in and take a peak. L. E. Kincaid & Sons is located at 5605 N. Illinois Street. 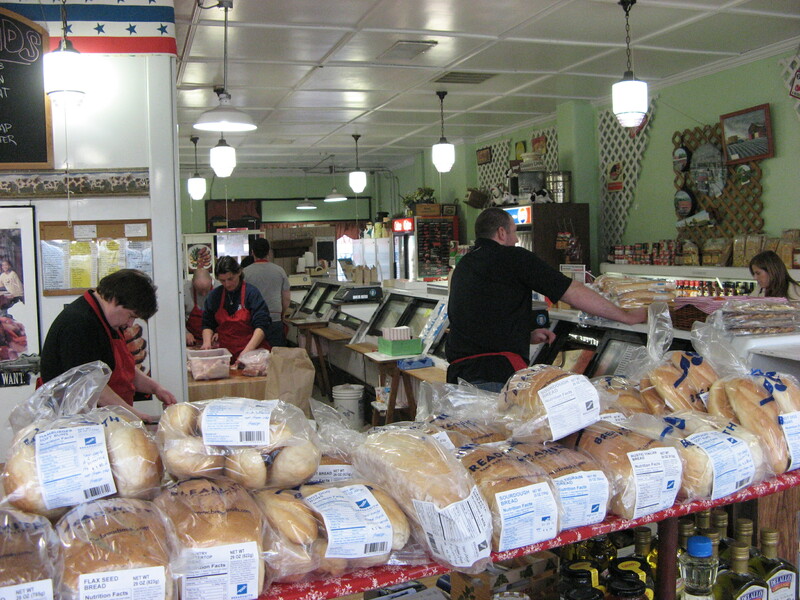 Inside you will find a bright and busy shop with friendly staff who are willing to help you find just the right cut of meat for what you need. I saw signs for quail, and viewed all sorts of lamb, beef, chicken, pork, and even venison in their meat cabinets. They also had a large stock of local, free-range eggs. I felt instantly transported back to small-town Scotland. And thus our outing came to an end and we headed back home where Black Bean Soup awaited us in the crockpot. And now I'm spending much of the day in the kitchen, cooking up some delicious dishes which shall appear here shortly! Oh, how exciting! Now I'm dying to go visit all those places! What fun! 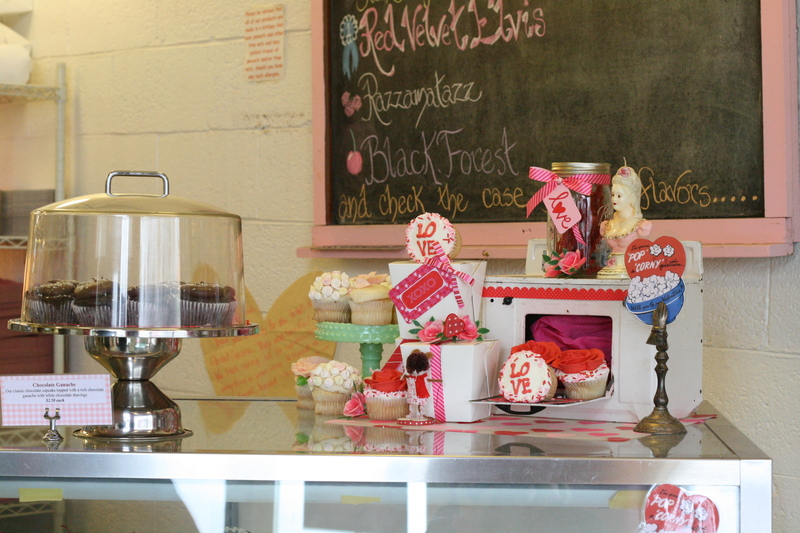 I took my daughters to the Flying Cupcake bakery last month for a special Mommy-Daughter Date. They were enamored by it all. My 5-year old daughter is a fan of beautiful cupcakes so she loved it all. Having a great kids' bookstore next door makes it a great outing! 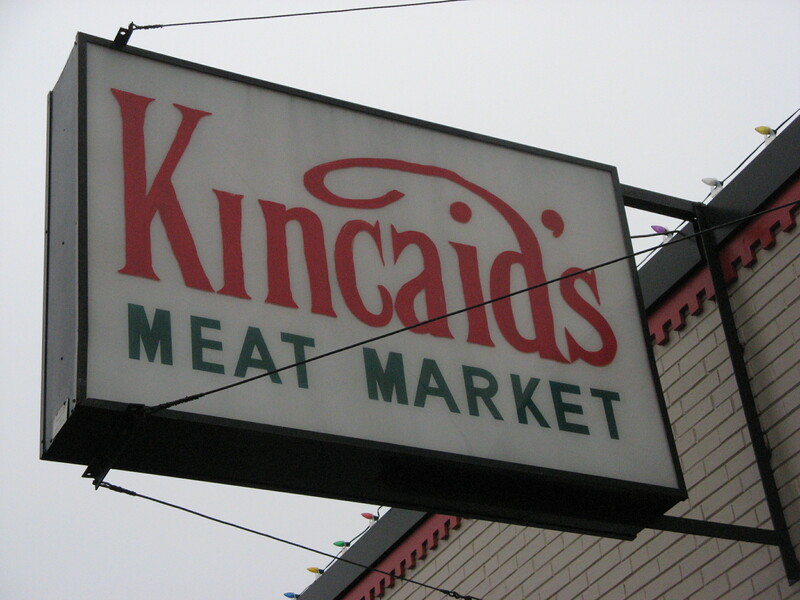 Not only is Kincaids a great local meat shop but they also really support the community. Back when I was in 4-H I went there to buy my beef for the grilling competition. When the owner found out what I was doing he cut a prime piece of ribeye for me, dry aged it 28 days, and gave me a huge discount on it because he supported 4-H'ers. In addition Kincaids also were the providers of the beef ribeye steaks for the Hamilton County 4-H fair ribeye night. Glad you found them!